For many a professional photographer, the Professional Photographers of America is a trusted resource for education, support, and representation on all matters that matter to photographers. There are several trade associations, among them the NPPA, ASMP, and APA, and the PP of A stands shoulder to shoulder with them in working hard to affect change around the country and within the industry. Each tends to focus on one area where photographers need help, but all are working hard when it comes to protecting copyright for professional photographers. A few weeks ago, the CEO of the PP of A, David Trust, wrote a great piece on "Why Congress Needs to Focus on Photographers", (Medium, 8/10/17) and it is a well reasoned presentation of the importance as to why photographers need help with protecting their intellectual property. Trust notes that "...over 70% of photographers and visual artists will lose a month’s worth of income, or more, during their careers to copyright infringement..." and he highlights several examples of where photographers were the victims of the theft of their work or slandered and libeled, through no fault of their own. The article is very much worth a read. With over 30,000 members of the PP of A, they represent a broad cross-section of members, and when people are wondering whether or not to re-up their membership in their various organizations, this article is a reminder that, while photographers are working hard at making great images and telling stories, whether it be the marriage of a bride and groom, a feature on a notable person, or the news of the day, leaders like David Trust are championing you and your business every day, often behind-the-scenes. There are plenty of ways to gag and bind your time, creativity, and intellectual property. The latest one, Binded (a rebranding of a company called Blockai) is a startup offering up worthless "certificates" - selling snake oil to the creative masses. U.S. Copyright is governed by federal law, and the only "copyright certificate" that has any standing in a U.S. court is one from the United States Copyright Office. These "Blockai certificate" offerings are as worthless as the myth of the "poor mans copyright", whereby you mail yourself a copy of your work, trying to use the postal cancellation date as proof of the date created and that you own it - the theory being that you open the envelope in court for the first time. This myth has been busted by so many reputable publications and entities, that the copyright office even addresses it here, writing "There is no provision in the copyright law regarding any such type of protection, and it is not a substitute for registration." During their launch last year, Fstoppers ran an article (here), where the author offered false hope, writing "it adds another layer of protection for the creator". Let's be crystal clear here, Blockai offers no additional protections for the creator. A creator would have more protection wearing a torn prophylactic. The snake oil being sold on their website is described as "copyright made simple" then "the easy way to protect your images, free forever." While this video, a pitch to TechCrunch from a year ago, reveals something very different. They are charging between $0.25 and $0.50 per image you want to register. And, you can't make this stuff up - their still frame for the video pitch is rainbows and a unicorn - as mythical as the protections they are saying they give you. Consider that a $65 official registration with the U.S. Copyright Office allows you to register an unlimited number of images in one single registration, whereas $65 will get you just 260 images registered with Blockai. Their Terms of Service state they are "A web application that allows a user to claim copyright ownership of an image they created." What they are doing does not protect your images, let alone, forever. In fact, what it does, is create a false sense of hope that the creator is doing something that does protect them. The Vimeo co-founder Zach Klein is quoted on their website as saying "finally, copyrighting is simple and fair." A photographer is quoted as saying "Binded makes it simple to manage my copyrights." These are quoted, obviously, as the opinions of these people, so they can say whatever they want, even when it's blatantly inaccurate. The Vimeo co-founder suggests Binded is "copyrighting", which it is not. Further, it should be noted that this isn't the first time Klein has been criticized for being a part of a "scam", Gawker wrote here in 2013 about him pitching, in Tom Sawyer-esque fashion, for people to pay to help make him a bathhouse in the woods of upstate New York. With Klein having been named to the advisors board for one of the founder's other ventures, Quickcoin, I'm not sure I'd consider his endorsement exactly unbiased. It certainly is not accurate. This isn't the first foray into delusion for the mouthpiece of Blockai. The founder of Blockai and Binded, Nathan Lands co-founded a service in 2014 when he was 29 called Quickcoin, billed in this article as "Bitcoin so simple, even Mom can use it", and was conceived "over noodles at Ramen Underground". In this Recode article about it, he throws a Bitcoin fair wearing "a lush gray velvet smoking jacket" with Lands quoted as saying "we’re trying to make bitcoin available to the average consumer" and then "Listen, I’m a capitalist. I like money a lot. And bitcoin means different things to everyone, but you can still derive a lot of value from bitcoin, a lot of value." Yet, some two years later, they've not raised more than their original $50k, and their website is down. To use industry-speak, it seems they burned through their funding and ran out of runway. So, what do you do when you've burned through your funding? Move on to another ill-conceived idea, this time, trying to dupe artists and creators. After getting just over $500k a year ago, 5 days ago on May 24th they received just under $1M, for a total of $1.5M in funding, according to Crunchbase here. The most telling and accurate statement on the entire Binded website is in their TOS, where they write "3.2. Website Accuracy. Although we intend to provide accurate and timely information on the Binded Site, the Binded Site (including, without limitation, the Content) may not always be entirely accurate, complete or current...Accordingly, you should verify all information before relying on it, and all decisions based on information contained on the Binded Site are your sole responsibility and we shall have no liability for such decisions." And there you have it. They can sell whatever scam they want dressed up with rainbows and unicorns, but you're on your own when that scam screws you over and you're left gagged and "binded" to your bedposts by their false promises. What they should be collecting when you register for their services is your safeword. A common refrain by photographers who make excuses for not registering their work with the copyright office is that they’re not that valuable, or that no one would want to steal them. On May 11th, in Baltimore Maryland, a jury awarded the copyright owner $900,000 in actual damages and $300,000 in statutory damages for 133 total infringements of 24 different images, of plants, in Under A Food Plant Company v. Exterior Design Inc. The case is BPG-15-871, before the US District Court for the District of Maryland. Conde Nast has taken a page out of the Time Magazine playbook and their new contract outlines that you can pay a fee to be paid faster, according to the Fashionista blog here, who reports they have a copy of the latest contract. 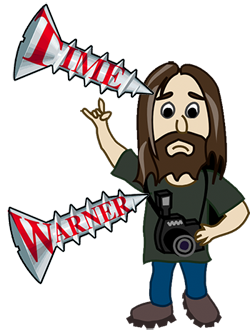 In 2009, Photo Business News reported here about how Time Warner was doing the same thing. What is not clear, is what the Conde Nast payment schedule is like. It is a common accounting concept whereby you bill, say, $1,000 for an assignment, and offer the following terms: "2/10 Net 30", which means that the party receiving the invoice may take a 2% discount if they pay in 10 days, otherwise the full amount is due after that, and late after 30 days. A good outline of the concept is available here, and sometimes, it's "1/10 Net 30" too. One of the challenges is when that 30 days begins. Is it 30 days from invoice date? Is it 30 days from when the manuscript is accepted by the editor? Or is it 30 days following the date of publication (usually listed as the date on the front of the magazine). With magazines often having a multi-month lead time for articles, it could well be that you don't get paid for many months. On many occasions, we've had clients hold onto invoices, or even lose them and ask that they be resent, which delays payment, because the accounting department doesn't start the "30 days" clock, until they receive it. As Fashionista notes, in the state of New York, where Conde Nast is headquartered, a law passed in October of 2016 (here) requires timely payment or financial penalties or even a lawsuit could result. Clearly, this new contract begins to factor that in, plus payment terms. What's good for the goose is good for the gander, so they say. So, the contract could, or should include interest or penalty charges when an invoice is paid after a set date, no? One of the problems with the internet is that a Ph.D. in science can post a researched report online, only to be critisized in the comments section of that same online posting by anyone with a different opinion or an agenda, or a lack of experience. This is why so many online outlets have either ended comments, or moderated them. I too believe like John Oliver does (here regarding climate change) that it is inheritantly misleading to afford an expert on the subject of the future of photojournalism the same platform as an arguably newly minted photojournalist who, by her own statements, is a product of the company she is employed by, and not fully experienced or having had witnessed the full breadth of the industry she's supposedly equally capable of commenting on. John Oliver posits "you don't need peoples opinions on a fact. You might as well as a poll that asks 'which number is bigger, 15 or 5?'" Oliver then goes on to point out that people are still depating an issue because, on TV, they pit one person in favor of an issue position, and one person against it, as if there is equal value to each position, or equal stature for both people delivering the opinions. This, as Oliver points out on Climate Change, is inheritantly misleading. "only the rich kids get to play at photojournalism." In a follow up article, equal weight was given to someone with a small fraction of experience and perspective on the industry. The author of the piece called the Winslow article "pessimistic", and I had to revisit the definition for that word, which is defined as "tending to see the worst aspect of things or believe that the worst will happen." The points above are accurate and depressing facts, but they're not debatable, they're facts, with, perhaps, the editorialization of #9. The article was in question, on the same NYT LENS blog platform "Photojournalism’s Uncertain Future? She Begs to Differ", which you should read here is filled with ill-conceived opinion by Ms. Leslye Davis, an employee on staff who shoots video and still photography. Following the publication of the Winslow interview, the questioner describes someone who "came into the Lens office" - and that's where it starts. Described as "a young video journalist and photographer for The New York Times", means Ms. Davis first has a paycheck from one of the highest paying newspapers in the country. For reference, according to the New York Newspaper Guild's 2003 contract (here ), which was effective through 2011, a photographer with 2 or more years of experience would earn a minimum of $1,777.83 every two weeks up to $1,955.54 for a Bureau Photographer. That's a salary, before benefits, of $46,223, to start - she's likely paid much more. That's an awfully enriched position from which, as the title of the article suggests "Photojournalism’s Uncertain Future? She Begs to Differ" - "beg" to differ. She stated she started as an intern at the age of 21, and then was hired on full time. And here, she's going to opine on the state of an industry she has experienced only a sliver of, from the position of staff photographer who doesn't rely on the dwindling rates paid to non-staff photographers? So, let's walk through everything that's been written, with the understanding that, as the author, James Estrin notes "Her conversation with James Estrin has been edited for clarity and brevity." What it clearly was not edited for, was accuracy, Leslye Davis is operating from, as our current administration has coined the phrase, a set of alternative facts. Below is the Q&A exchange, interspersed with commentary and criticisms, and on a rare occasion, an agreement or two. ESTRIN: What brought you into the Lens office a few minutes ago? DAVIS: I got an email from a Western Kentucky University photojournalism student. COMMENTARY: Davis, who grew up mostly in Kentucky, the daughter of a school teacher, is a WKU alumni, one of the most difficult and prestigious schools for photojournalists. DAVIS: She wrote: “I just read this article from The NY Times. It’s about the unstable career of photojournalism. After reading it my fears resurfaced of not feeling confident in the career I’m investing a lot of time and money into, especially if it means being able to barely provide my daily needs with the pay. COMMENTARY: This students fears should have never left, they should have always been front of mind. The student is right that they are "investing a lot of ...money" and she's right to fear being "able to barely provide my daily needs with the pay." Winslow did not dance around this point, he made it clearly. COMMENTARY: I hardly think that Davis is of the position that she has more insights into the future of photojournalism than Winslow. Winslow has been photographer, editor, served on a national board of the NPPA, and otherwise been in the trenches for decades. Why would Davis have a more informed or insightful opinion or even more facts than Winslow? ESTRIN: So what are you going to tell her? COMMENTARY: So, from an email inquiry, she's just going to offer the blanket statement that her future is bright? Why is she making this promise? Allaying very real fears with a platitude? DAVIS: … that there are more opportunities than ever before, especially for women, especially for minorities. She is both. COMMENTARY: There are NOT more opportunities that meet the test this student was asking for to " provide my daily needs". The opportunities largely exist to work for free, or for "photo credit", not that will provide for her daily needs for revenue. Further, to the question about the financial viability of the profession, the question about opportunities for women and minorities, while true, is irrelevant to the question, but again, it's a platitudinal sentiment at best. DAVIS: Some of the points in the article were right, but the overall message about the uncertain future of photojournalism was wrong and it spoke more to what photojournalism used to be than of what it’s becoming. COMMENTARY: Incorrect. There wasn't a single fact in the article that was wrong. In fact the premise - that it's "uncertain" is accurate. Further, the message and points too was painfully accurate. It offered a history lesson and facts about the state of the industry today. Facts cannot be wrong. 15 is still bigger than 5. What's troubling, (and Davis ignored Estrin's question about fear) is that, in an interview here Davis expresses her own fears on this same topic of money, writing "I’ve always had an intense irrational fear of student loan debt" yet she's allaying these same fears in a fellow WKU student. That's just plain irresponsible. Especially so when she's making upwards of $50k in salary, and is provided with all the equipment she needs to do her job. Estrin notes in his interview with Winslow "The difficulty of making a living has skewed the profession away from people who are working-class or poor" to which Winslow affirms that and responds "That hurts diversity and hinders coverage..." and notes that a "bag of gear today would probably cost you $25,000". ESTRIN: What is so exciting about her future? COMMENTARY: I'd like to think that Estrin, a self-avowed optimist, here is asking a question, if he's being honest with himself, he knows should be answered more along the lines of Winslow's answers, "the bottom line is, can you pay your bills at the end of the month?...Are you going to pin your mortgage payment on getting an Alicia Patterson grant? Or a Robert F. Kennedy Award?" DAVIS: Newspapers and journalism in general are excited about visuals. COMMENTARY: Yes, they are excited about visuals. This is a superfluous and pandering comment. Even before cameras existed, newspapers used visuals and were excited about them. Here's a visual in the New York Herald from 1836, the year before the camera was invented. DAVIS: If you look at The New York Times 2020 report, the first point is that the report needs to be more visual. COMMENTARY: Yes, and within that same point, it affirms the importance - primarily so in some cases, "We also need to become more comfortable with our photographers, videographers and graphics editors playing the primary role covering some stories, rather than a secondary role." Yet, step outside of the staff offices of the NYT, and the reporters in many cases think they can take the photos, and the reporters in most cases, are paid more. From a database of rates, here a reporter in 2014 is paid $700 flat, for "1,000 words. It required plenty of quotes from different sources. The photographs were taken by a professional. They purchased first global rights but the contract included a 1-month exclusivity period in which I could not re-sell the article. I didn't think one month was that big a deal when I submitted the contract, but lord was I wrong. Through the NYT syndicate, the article was re-sold practically everywhere in that time." That professional photographer was paid about half of what that writer was paid, according to standard NYT freelance rates, and while that $700 rate surely varies, not so much for the "day rate" the NYT pays freelancers. DAVIS: The gear necessary to shoot well and the platforms on which to distribute the content you’re creating are more accessible by the day. At bare minimum, we’re all carrying hi-res recording and viewing devices around in our pockets. COMMENTARY: The "gear necessary to shoot well" is not "more accessible by the day", because it's getting more expensive as pay for the same workload increases. Winslow noted "Now they’re being asked to produce video, audio and slide shows, too, while being paid the same amount." Colleagues who previously could capture "wild sound" are being asked to capture audio like NPR. And as to platforms, Ms. Davis has given a great deal of interviews on varying platforms and news outlets about her experiences, but she's distributing on one - the NYT platform. And platforms like YouTube are beginning to charge (for example, YouTube Red) and other platforms are moving away from free offerings towards ones that, ahem, charge to use. Again, accessible is not just the existence of a platform, but also the ability for the photojournalist to be able to use it and that gets incrementally harder as they charge more when pay is stagnant, or, factoring in inflation, buying power is declining. DAVIS: Now we can be the authors and tell our stories. COMMENTARY: In a 2014 interview here, some 3 years ago, Ms. Davis opined when asked about her typical day at the NYT, she says she gets pitched from a journalist, "do a lot of research...Then I’ll do more research, I’ll map out the logistics, get a budget ready, and say, “Here’s what it’s going to cost, here’s how long I’m going to be there,” and ask if that sounds okay. I’ll hop on a plane or I’ll rent a car, and go." She's therefore telling the stories of other journalists, on the budget of the NYT, without worrying about how her rent is going to be paid for however long she's "going to be there" on assignment. ESTRIN: That was my issue as a newspaper photographer until at least 2004: I didn’t get to be the storyteller. Even if it was my idea, I was illustrating someone else’s words. As we got audio, and video, and it became accepted that a photographer could write, then I could be the author. DAVIS: Exactly. We have voices. We can dig up the story, weave the narrative and make it beautiful. COMMENTARY: No, not "exactly". The voice is that of the NYT, and to the extent that the voice of the reporter serves the financial interests (page views, video plays, etc) and the goals of the NYT, the voice of the reporter can be amplified by the NYT. So Davis, as the author now, it seems, comes up with an idea, researches it as she did when she was getting pitched from other journalists, and then now pitches it herself and so it seems that this workflow still applies - "I’ll map out the logistics, get a budget ready, and say, “Here’s what it’s going to cost, here’s how long I’m going to be there,” and ask if that sounds okay. I’ll hop on a plane or I’ll rent a car, and go." Again, when she returns from having "hop[ped] on a plane" her heat will still be on, no eviction notices under her door alongside paltry checks from editorial clients who pay in 60, 90, or 120 days that won't cover the rent and are late, alongside of credit card bills which accrued interest after 30 days because the client hasn't paid yet. ESTRIN: I remember you telling me that when you went to Western Kentucky as a student you thought you were the worst photographer in the class. COMMENTARY: It seems this question is designed to illustrate to other people who think they are poor photographers, that they too, with enough hard work, is sure to also land a job at the NYT. DAVIS: I was terrible. Some other students were inherently talented when it came to composing a well-framed photo or understanding light. It was only through sheer force of will that I got any better. I really had to put in the hours to understand and learn. COMMENTARY: There were 2,078 graduates in Spring of 2012, the year Ms. Davis graduated, 410 within the same "Bachelor of Arts" degree category as hers. In looking at their 2014 ciricculum (here) there's not a single course required on how to manage a freelance photography business. Remarkably, according to US News, the 4-year graduation rate (here) at WKU is just 27%, and according to a 2015 report (here) they graduated just 35 students in the WJU photojournalism program. DAVIS: But the reason I was drawn to the field wasn’t because I wanted to be the best photographer in the world — I do want to be good because light and composition and moments are what move people in an image — but I don’t think those elements are more important than the story itself. And I was always drawn to the stories. COMMENTARY: These are all wonderful sentiments where Ms. Davis opines about Davis, her motivations and what she's drawn to, but they are irrelevant to the state of photojournalism. They are biased anecdotal insights at best. DAVIS: There are so many great examples of people who have crossed that threshold and been successful. They are making beautiful images, but they’ll also make video, make podcasts, write, whatever it takes to get the message across. COMMENTARY: How do you define "so many"? It relative? Is 1% of a population "so many?" As a noun it's defined (here) as "the majority of", whereas as a determiner, pronoun, or adjetive, it's "a large number of". The US population is 309 million people. Of that population 124,900 are photographers, according to the US Department of Labor (here) who, by the way, make a median income of $31,710 a year, and which the US Department of Labor notes about job prospects "Salaried jobs may be more difficult to find as more companies contract with freelancers rather than hire their own photographers." Within her industry, there are only 3,150 jobs according to the Bureau of Labor Statistics. There are 138,000,000 jobs seasonally adjusted in the US, which is 2.3-thousandths of a percent of jobs that are for photographers in her industry. So, it's not clear what data Ms. Davis was relying on to advise her fellow WKU photojournalism colleague that her future was "bright." How do you define "successful?" it could be (according to Google) "accomplishing an aim or purpose", or, more likely in this story, since we are not talking about whether or not photojournalism can accomplish something, but rather, the state of the industry as viable, "having achieved popularity, profit, or distinction". Again, the article she was responding to was discussing whether or not the field is one where the participants can pay their bills, so let's focus on the second word, "profit." DAVIS: To name a few: Maisie Crow, an incredibly talented still photographer who has been working on a documentary about the only remaining abortion clinic in Mississippi for years now. COMMENTARY: How is this relevant to whether or not the profession is viable? She's an anecdotal reference to the point, and lives in NYC. DAVIS: Marcus Yam, who apparently just won Newspaper Photographer of the Year in POYi — he was also awarded a World Press Multimedia Award and an Emmy in 2011 for a short doc that was a combination of stills, audio and video. And for that he was working on a team. That’s important. That very independent approach that we’re taught in photojournalism school can be the best (and only) way in some situations. But I mostly find that working alone is to the detriment of the project. COMMENTARY: Again, Yam is a fine photographer who interned at the Washington Post and the year prior to Ms. Davis at the NYT, and, currently, is on staff for the Los Angeles Times, but his list of accolades isn't going to pay his bills. DAVIS: Also look at Liz Baylen, Malin Fezehai, Tim Hussin, Erin Brethauer, Zana Briski, Chad Stevens, Bayeté Ross Smith … I could make you a list that’s pages long. COMMENTARY: A "list that's pages long" of photographers "who have crossed that threshold and been successful"? No, that list, at that length, does not and cannot exist. ESTRIN: What have photographers lost and what have we gained during this period of change in the media? DAVIS: The fact of the matter is 20 years ago our field was largely inaccessible to minorities, women and foreigners. COMMENTARY: Irrelevant to whether or not the industry is failing or not. However, let's look at some statistics, In 2016 47.7% of photographers were women The 2007 Women in the Labor Force report (here - https://www.bls.gov/cps/wlf-databook-2008.pdf ) shows the percentage of women in the field of photography at 47.5. So we're not looking at a a field "inaccessible" at all, it's consistent over the last 20 years. With the 2007 report, the earlest data readily available on demographics, showed 5.7% black, 1.9% asian, and 10.3% hispanic or latino in the field of photography. whereas in 2017 there were 5.7 black, 8.4 asian, 8.4 hispanic or latino in the workforce. Relative to the population as a whole, 13.2% are black, 17% latino. At best, the asian population showed the greatest increase. Asians currently make up 5.6% of the population, while in 2007 there were 1.9% that were photographers, and now there are 8.4% asian. In 1997, 20 years ago, the Department of Labor reported 139,000 jobs, so to start, there are about 15,000 fewer jobs available, overall. That same 1997 Jobs Outlook report notes "is a highly competative field because there are more people who want to be photographers than there is employment to support them." This was true then, and remains a fact today. Going back 10 years, the 2007 report suggests that, with employment in 2006 of 122,000 they projected 135,000 for 2016, yet this was not accurate, it only increased by 2,000. As to the inclusion of "foreigners" in this list? That's another addition that is irrelevant. It's like piling on whatever seemingly disadvantaged group to try to make a point. Foreigners have their own photojournalism segments of the industry in their own countries, it's unclear why they're included here. DAVIS: Shooting high-quality video was an expensive, niche market. COMMENTARY: This is probably one of the few accurate statements Ms. Davis makes. COMMENTARY: "Required?" Walk down the street, take a second or third look at things that look obvious. So many people mis-percieve that in order to be inspired you have to leave your geographic region. DAVIS: .... and frankly, special admission to the (mostly) boys club. COMMENTARY: Statistics suggest that this isn't the case in the last 20 years, as was earlier suggested. Generally speaking, the profession has undergone a change from the 1940's, 50's, 60's, and 70's, from a male dominated field, to, within the 80's and 90's, atleast according to government reports and analysis, and equal presence in the field. However, this correlates to a largely to the growth of women in the workforce overall. Few argue against diversity in the workforce, whether it be women in photojournalism, or men as nurses. Yet to suggest this is a triumph that overcame "special admission" is just pandering. DAVIS: Now when you open your phone, you have access to recording tools, online connections, and a constant stream of inspiration and information that would have been unimaginable a few generations ago. COMMENTARY: None of which goes to the original point - the ability her WKU connection was worried about being able to do - pay her bills within the profession of photojournalism. DAVIS: Do people have to make compromises? Absolutely. COMMENTARY: Another of the few accurate statements Ms. Davis makes, again, a platitude. DAVIS: Does it mean you’re selling out if you have to learn to use a tripod or how to record audio without peeking? No way. It’s just a skill, like your camera is just a tool. Our mission should be to connect people and tell their stories and you’re in a better position to do that now than ever before. COMMENTARY: Again, irrelevant anecdotal experiences and not relevant to the state of the profession. DAVIS: If there’s something I worry about losing, it’s a commitment from some news outlets to ensure that the images they publish are coming from reliable sources. COMMENTARY: Ms. Davis is joining the chorus worried about 'fake news". Photographs that come from unreliable sources include those that are trying to spoof the news, or whom offer photographs with an agenda behind them. 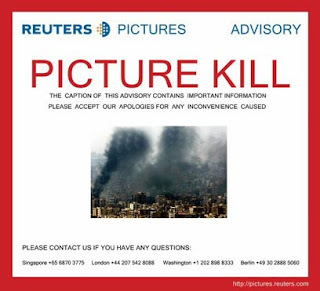 Whereas a car company or a theater troupe might offer a "handout photograph" as a visual press release, their agenda is simply free publicity for product, service, or event, whereas the rise of freelancers has caused storied news services like Reuters and others, to publish photoshopped images, for which, when they were caught, they had to retract and apologize for. This isn't new - the NYT itself was the victim of a number of spoofs - including this one (here https://cityroom.blogs.nytimes.com/2008/11/12/pranksters-spoof-the-times/?apage=1 ) where reportedly 80,000 print copies of the paper were distributed nationwide along with a companion website. But this isn't really a new concern either, and the NYT just a bout a month prior ran this article (here - https://www.nytimes.com/2017/01/19/learning/lesson-plans/evaluating-sources-in-a-post-truth-world-ideas-for-teaching-and-learning-about-fake-news.html ) "Evaluating Sources in a ‘Post-Truth’ World: Ideas for Teaching and Learning About Fake News". DAVIS: Also, it’s true that the inundation of visuals that we all come across daily makes us prone to desensitization. But I don’t foresee that changing, so why waste time lamenting it? The caliber of work required to capture and maintain someone’s attention is at a higher standard, but that just means the stakes have been raised. COMMENTARY: Ms. Davis is suggesting that lamenting a desensitization by a daily inundation of visuals is a waste of time? Perhaps the National Institutes of Health should tell all the PHd's and doctors who investigated (here - https://www.ncbi.nlm.nih.gov/pmc/articles/PMC4522002/ ) this "Desensitization to Media Violence: Links With Habitual Media Violence Exposure, Aggressive Cognitions, and Aggressive Behavior" should just delete the article and work on something more important? The findings are somewhat alarming, but, well, Ms. Davis suggests we should not "waste time lamenting it." DAVIS: What we’ve gained is personal insight into communities from insiders. In the past people might not have been connected enough to tell their own stories. Now they can. COMMENTARY: Ms. Davis believes that personal insight from insiders is a gain? Perhaps, but not always - often the neutral perspective of an outsider coming in garners a more objective perspective on the story. Ms. Davis certainly isn't an insider in the field of freelance photojournalism nor the state of the field of photojournalism as a whole. She was able to be "connected enough to tell their own stor[y]" to Mr. Estrin by walking into his office in the same building she works in. Now she has, and it's done a serious disservice to her WKU colleague, and the industry as a whole. DAVIS: The Internet makes sharing and receiving stories all the easier. COMMENTARY: True, but not every story is worth sharing. We need look no further than people sharing photos of what they ate for dinner, or, ahem, even photographs of their bowel movements, on blog posts and social media. People post their personal diaries of life, work, and even sexual exploits. Just because sharing is easier, doesn't make it better. DAVIS: Some people see it as a detriment that we’re not sending journalists all over the world, but to me, that’s a positive sign about the opportunities that have been made available to journalists within their own communities. Locals are connected to their community, they know what they’re doing there, and they speak the language. COMMENTARY: There are some times when there's no need to send a journalist somewhere, but many times when there's value. Sending a photographer from LA to NYC to do a photo shoot seems unnecessary, until you realize you're trying to have a similar style and look to the images for a story with subjects in disparate locations. So too, you send a seasoned conflict photographer into a country because they not only have the skills to stay safe, but also, to tell the story in the context of other conflicts. A biased visual often comes from photographers within the area of a conflict, and moreover, there are many stories about unexperienced photographers getting killed because they didn't know what they were doing. Why did the NYT send Ms. Davis to photograph photographer Sally Mann in Virginia? They wanted her to approach it a certain way. There are dozens of photographers within an hour of Ms. Mann who could have done the assignment. So too, when Ms. Davis went to Rio there were hundreds of photographers already there, and in Paris for her team nomination to the Pulitzer, many many photographers there. For someone who's been sent a few places fully funded with a NYT expense account, she's really not in a place to criticize this point. ESTRIN: So you are going to get more and different voices? DAVIS: More different voices and it’s just financially smarter. It would be ridiculous for newspapers to regularly send a photographer across the world, hire a fixer to help translate for them, pay all their expenses. And this goes for video too. It’s a much smarter strategy to employ people who are closer to the places they work. COMMENTARY: See above. And Ms. Davis would do well to not delve into what is, and what is not, financially smarter. DAVIS: Also, when it comes to understanding deep-rooted issues like conflict, poverty, inequality, we often have people who’ve never personally experienced any of that strife documenting this stuff from a hundred feet away. This field tends to weed out the poor students because of their need for stability and that’s so unfortunate. It’s valuable to promote the people who understand the struggles they’re documenting. COMMENTARY: Well, this goes to Mr. Winslow's editorialized point about "rich kids" in the field of freelance photojournalism, and she seems to agree with him. Yet, while she sees that " It’s valuable to promote the people who understand the struggles they’re documenting" it's not worthwhile enough to pay them a living wage? Is she suggesting that the only way to understand being poor is if you too are currently poor too? One can only cover a terror attack in Paris if you've been the victim yourself of a terror attack? Where does the poor analogies by Ms. Davis end? ESTRIN: There are old ways in photography that have died. And it’s very hard to make a living. COMMENTARY: This is a pandering question - just like there are no more chimney sweeps, as Winslow pointed out in his interview. DAVIS: In some sense, you’re choosing to be a journalist and/or an artist. And it’s true that those are not necessarily well-paid fields. If you feel drawn to telling stories, in my eyes it’s a worthy trade. COMMENTARY: There is no honor in living the "starving artist" creedo. In 2007 I wrote (here - http://photobusinessforum.blogspot.com/2007/01/ready-proud-starving-artist.html ) The Proud Starving Artist. It's not a worthy trade, yet, from all accounts, Ms. Davis has little personal experience in less than well-paid fields, her income is protected (rightly so) by the NY Newspaper Guild. DAVIS: That said, I’m a single person who’s not trying to raise a family. COMMENTARY: Yes, the revelation of a severe bias on this entire topic, and one that illustrates she's not able to fully recognize the full state of the field. DAVIS: I do find the rates that some freelancers have to work for very low and especially for my friends who are committed to working exclusively in journalism and not taking advertising jobs for ethical reasons. COMMENTARY: Yes, very very low rates. Even the most legendary of photojournalists cannot, and do not, work exclusively in journalism, because it's, to Winslow's point, financially unworkable. Any photojournalist who believes they can afford to turn down an advertising job "for ethical reasons", I believe, either has no bills or is living with a trust fund, and hasn't woken up to the reality of being a photographer, with all the financial challenges Winslow outlined. DAVIS: I came of age after the so-called golden age of photojournalism. I have a question: What, to you, is the difference between now and then? ESTRIN: There are fewer editorial assignments, there are far fewer — mostly poor paying — newspaper jobs. It was never an easy field. And documentarians never made money — they’re probably better off now. ESTRIN: But, I think in many ways it’s a golden era for photographers now. There used to be a few dozen gatekeepers, editors or curators who decided whether you succeeded or not. Today you can bypass the gatekeepers and publish directly to your own audience. There were a few hundred people, mostly white men, who could make a good living internationally by parachuting into other countries. It wasn’t a very diverse bunch. COMMENTARY: Yes, lots of photographs, for, as Winslow noted, 1/100th of the price. "Golden" is not a word I would use to describe the state of the field of photojournalism. The average stock photo price back 15 years ago or so was $980, now it's about $1. The rate that a news wire paid for an assignment in 1980 was about $150, now, adjusted for inflation, it's $74. DAVIS: Yeah, all I can say is let that die. When I was in photojournalism school I had an identity crisis because almost every photographer I admired or we talked about in class was a white man with a head of white hair and a great big beard. DAVIS: Occasionally there was a Caroline Cole or Barbara Davidson but typically women we discussed covered conflicts. It seemed the only way to carve out a path for yourself, as a woman in this field, was to go out into the war zones as if to say, ‘I can do anything a man can do.’ But you should be able to be a woman in photojournalism and tell stories from your unique perspective. You should be published, and you should also be able to do that if you’re black and you live in sub-Saharan Africa. Or if you’re Indian, or if you’re Japanese— your unique perspective is valuable, and it’s to the benefit of us all that it be shared. COMMENTARY: Off the top of my head there's Guzy, Adarrio, Bruce, Restek, and then there's LePage, who gave her life doing so in 2014, among many others. I'm guessing there are few in sub-Saharan Africa who an afford the $25k in gear Winslow referenced in order to do this job, when the median income there is $742 to $762 per year (measured in 2005 purchasing-power parity-adjusted dollars) according to the Economist (here). ESTRIN: When I was your age I walked door to door with my portfolio and I was lucky if maybe the secretary would take it, you know, because I didn’t have the connections. And if this small group of people didn’t say, “yes, you can come in,” then you couldn’t come in. DAVIS: This is why I love the Internet, Jim. The door’s wide open. Lots of people are rushing through, though, so you better be good. COMMENTARY: This was true for females, males, and minorities, but there are a number of photographers without connections that made it. Quality can win out over connections. Quality, consistency, and dependability are what will give a photographer a good reputation in the industry, you don't need a connection to have these qualifications. ESTRIN: How old are you now? ESTRIN: I’ve known you for five years. DAVIS: I know. I’ve been here since I was 21. I’m a product of this newspaper. COMMENTARY: This, more than anything, illustrates Ms. Davis' lack of standing to comment on the state of the industry of photojournalism. DAVIS: When I was accepted for the New York Times internship, I was thrilled but I did not expect to get hired here full time. I started here as an intern on the multimedia team which we no longer have. I think “multimedia” is a culture that’s seeped into The New York Times visually across the board. But when I started, there were only a few of us that did photos and videos. And then I was hired into photo. After a year I was moved to video. COMMENTARY: Malcom Gladwell, in his book Outliers: The Story of Success, talks about Bill Gates and Steve Jobs being born and in the right place at the right time (reference - http://theirrelevantinvestor.com/2015/11/09/right-place-right-time/ ) . Davis esentially acknowledges this occurred to her - she was in the right place at the right time and was one of a few people who were doing photos and videos. Kudos to her, but this does not give her perspective the same standing as Mr. Winslows. ESTRIN:. You can write, you can photograph, you can do video, You can do VR. It’s a little hard though, in truth, to do many things at the same time. DAVIS: Right, I know what you mean. It’s very hard. This job is supposed to be hard though. The thing I always consider is that I never want the gear or the shooting to get in the way of connecting with that person and thinking through the story. And that’s why it’s good to work on teams. If I had my way I would work with a cinematographer all the time. COMMENTARY: Estrin is right, you can't "click the shutter" while you are trying to catch good audio, nor can you capture a critical moment with both a still camera and a video camera in each hand. DAVIS: It’s hard for small newspapers that have photographers go out and shoot and edit a video story and do stills in one day. That’s just too much. And you’re going to get mediocre product across the board. COMMENTARY: Yet that is often what Ms. Davis' paper asks of so many of it's photographers who freelance for them. DAVIS: We’re a newspaper with more resources than most people have. And we get more time on stories than most journalists. I realize we are lucky here. COMMENTARY: this is probably the biggest understatement of this article. ESTRIN: What do you think are the effects of photography becoming so widespread? DAVIS: Before pens and paper were accessible people were carving their ideas into stone tablets. I bet when pen and paper came along the writers were skulking around grumpy like, “now everybody thinks they’re a writer.” Well, everybody is a writer. And everybody is a photographer. And there should be no ill will on that matter. If there’s a story that’s happening in the middle of nowhere North Dakota and there’s nobody there to cover it except for John Doe with his iPhone, then thank God for John Doe with his iPhone. In terms of being able to share information and stories, we’re in a great position right now. COMMENTARY: NO, not everyone is a "writer" or a "photographer". Just because you can write, doesn't make you a writer worthy of the NYT. Ask your editors. And just because you can take a photo doesn't mean the NYT will publish them. There are countless people who fancy themselves writers online, who's only readers are their family members and close friends. ESTRIN: It’s the democratization of photography. DAVIS: I do believe all these changes will continue to promote people who traditionally have not been empowered. And I hope that editors will hire with intentionality. COMMENTARY: The "democratization of photography" isn't necessarily good. While some might suggest that a democratization of an industry (whether it be writing, or photography) is the commonization of that industry away from academics or the priviledged, that is not necessarily good. An academic will distill disparate insights and apply history to their output. And, well, I can't see far enough back in time to a point where "the priviledged" are the journalists and photographers. Yet, as Winslow suggests, that era may be soon arriving. DAVIS: The best advice I can give to young visual journalists is that things are always going to be changing. Change with them. People are always going to get discouraged. Encourage them. Maybe one day they’ll do the same for you. There are always going to be stories to tell. Maybe right now more than ever before. COMMENTARY: I've spent the better part of my 28 year career encouraging people to survive and thrive in this industry. I always encourage those I help to "pay it forward." This Q&A, if not unanswered and allowed to stand unchallenged, will do such a great disservice this this industry. * Correction: A previous version of this article referenced an outdated job position for Marcus Yam, as a freelancer for the New York Times. He currently is on staff at the Los Angeles Times. The post has been updated to reflect this updated position. We can only hope he remains on staff.